WHEN ANOTHER PARENT SAYS MY KID WOULD NEVER DO THAT! - ProudMummy.com the Web's Community for Mums. 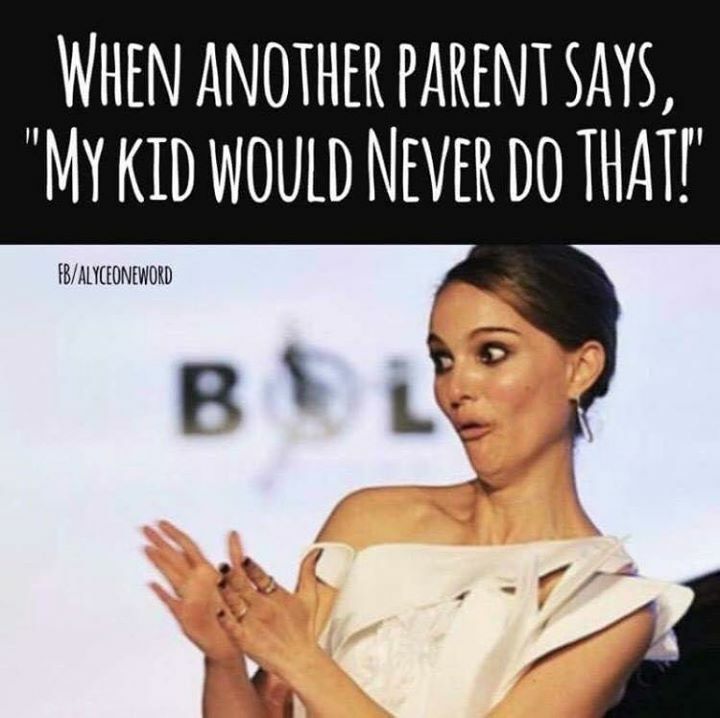 Home » Memes » Parenting » WHEN ANOTHER PARENT SAYS MY KID WOULD NEVER DO THAT! WHEN ANOTHER PARENT SAYS MY KID WOULD NEVER DO THAT! WHEN ANOTHER PARENT SAYS "MY KID WOULD NEVER DO THAT!"